Born in Panama in 1910, Maida Springer grew up in Harlem. While still a young girl she learned firsthand of the bleak employment options available to African American females of her time. After one employer closed his garment shop and ran off with the workers' wages in the midst of the Depression, Springer joined Local 22 of the International Ladies' Garment Workers' Union. This proved to be the first step in a remarkable advancement through the ranks of labor leadership positions that were typically dominated by white men. Ultimately, Springer became one of the AFL-CIO's most important envoys to emerging African nations, earning her the nickname ""Mama Maida"" throughout that continent. 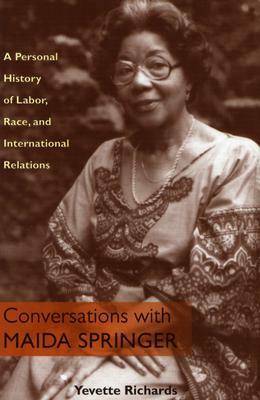 In this masterfully edited collection of interviews, Yevette Richards allows Springer to tell her story in her own words. The result is a unique and fascinating glimpse into the private struggles and thoughts behind one of the twentieth century's most enigmatic international labor leaders.